Yes – It has been 2 years !! 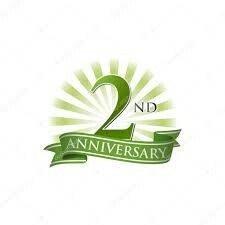 After 5 years working in Kidderminster we are delighted to be celebrating 2 years here in Lye, as BLACKTHORNS. This past year has seen the company expand and branch out into holding our own Blackthorns Seminars as well as our newest venture Young Professionals Midweek Mingle, later this month. We are looking forward to working with our clients and sharing our expertise and knowledge over the coming months.